Gelare Khoshgozaran is an artist, a writer and translator, and a video-editor working from a cubicle somewhere in Burbank where she is writing this short bio in third person. She has contributed to multiple Persian and English publications including Parkett, The Enemy, TripWire, Jadaliyya, Ajam Media Collective, Mardomak and ZanNegaar Journal of Women Studies. Gelare lives, works and fears dying in Los Angeles; the last time she crossed an international border was in August 2009. Daniela Seel, born 1974 in Frankfurt/Main, is a poet, publisher, translator, editor, host, and mentor. In 2000 she was co-founder of KOOKread, the literary branch of the artists' network KOOK ‒ together with fellow authors Jan Böttcher, Alexander Gumz, Karla Reimert, and Uljana Wolf. 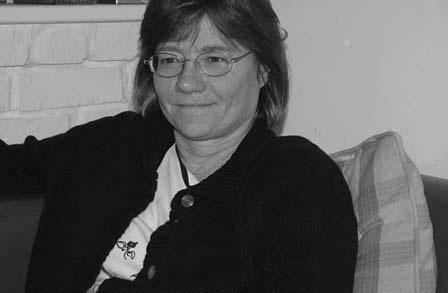 Emerging from KOOK, and supported by book artist and illustrator Andreas Töpfer as Art Director, in 2003 she founded kookbooks – Lab for Poetry as Life Form. Her first collection of poems ich kann diese stelle nicht wiederfinden / i cannot find this place again was published by kookbooks in 2011. Her poems have been translated into Polish, English, Slovak, French, Norwegian, Italian, Dutch, Serbian, and Croatian. She has collaborated with musicians, dancers, visual artists, and fellow poets. In her current project was weißt du schon von prärie / what do you know about prairie, actually she tries to further explore the relations between voice, space, textures, and movement, how they evolve from one another and change over time, thus perhaps creating a "four-dimensional poetry room". She lives in Berlin.